Praised by many as the most important contemporary book on Christian spirituality, this timeless classic has helped well over a million people discover a richer spiritual life infused with joy, peace and a deeper understanding of God. 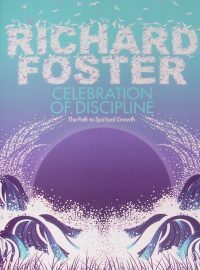 This book explores the 'classic disciplines' of the Christian faith: the inward disciplines of meditation, prayer, fasting and study; the outward disciplines of simplicity, solitude, submission and service; and the corporate disciplines of confession, worship, guidance and celebration. No-one who reads Prayer will remain inmoved. Even in the most difficult times, when we feel the 'agony of prayerlessness', this book will provide encouragement and the possibility of a profound experience of prayer will come within our reach. 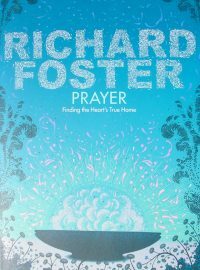 Richard Foster explores many facets of prayer, from the ordinary to the extraordinary, describing it an an inward journey of change and an upward journey of intimacy with God.He draws on the riches of the great classics of prayer throughout history as well as his own personal experience, and roots his teaching in Scripture. 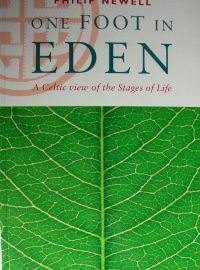 One Foot in Eden explores the connection between what is deepest in us and the original goodness of creation seen in the Garden. Writing in the Celtic tradition, Philip Newell views grace, not as opposed to nature but as releasing God's creativity which was planted within us at birth. Love's wisdom and passion may lie buried under layers of confusion in our lives, but they are waiting to be recovered. The book imagines a pilgrimage through the different stages of life, from the innocence of the newborn, through the awakening of adolescence and the passions of adulthood, to the wisdom which comes from experience. 'To take time to be apart ... is not a luxury, it is essential. The gift of space for myself seems so simple, and in a way it is; but it is also surprisingly difficult to do without some form of external encouragement. And that is the very simple purpose of this book.' With these words, Ester de Waal begins to show us ways into a fuller and deeper sense of attentiveness to the world around us and to the presence of God in that world. As she observes, 'if we fail to find the time to stand back, to give ourselves a break, a breathing space we are in danger of failing to be fully alive, or to enjoy that fullness of life for which we were created.' Many aspects of modern life can distract us: busyness, boredom, stress, lethargy, lack of direction. Yet Christ's invitation to each of us is, 'Come and see'. 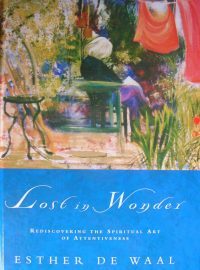 Responding to this call, Lost in Wonder clears and refreshes our inner vision, teaching us again how to use those gifts we may have come to take for granted or forgotten we had: sight, sound, silence, awareness, mystery, wonder. What does it mean to be made 'in the image and likeness of God'? This is the first and defining characteristic of our humanity celebrated in the opening pages of the Bible. Its subsequent record is of the struggle between good and evil in human life, a tension that we face daily within ourselves and in the relationships of our lives. Western Christian tradition has often given the impression, and sometimes explicitly taught that this tension is primarily between the soul and the body. The result has been a denigration of the human body and distrust of our deepest physical desires. We no longer recognise within ourselves the characteristics of the divine image. Yet written into the vey fabric of our being in the mystery, wisdom, strength, beauty, creativity, eternity and presence of God. This profound and challenging book clears away centuries of misunderstanding, confusion and shame that have damaged our self-perception. Drawing on both Jewish and Celtic Christian sources of spirituality, Philip Newell leads us to discover the sacredness of our souls and our bodies. Our present day assumptions about love, beauty, sexuality and worth are transformed by this truly ground-breaking book. 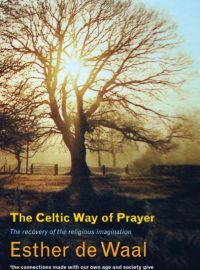 While it may seem that everything that can be said about Celtic spirituality has been said, this outstanding book has already established itself as a classic and as essential reading. Its beauty and wisdom lingers in the mind and in the heart. First published in 1996, it has sold tens of thousands of copies throughout the world and a new edition is to be welcomed. 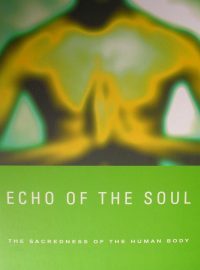 Esther writes as a historian and as a spiritual guide, avoiding the sentimentality that is so easily associated with Celtic spirituality. 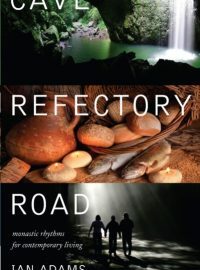 She draws on its rich literary and artistic traditions and its earthy realism to make vital and life-giving connections between the Celtic Christian world and the toughness and challenges of our own world. Here is a spirituality that we can live by with honesty, commitment and truthfulness.